On Monday, the Supreme Court ruled on Whole Woman's Health v. Hellerstedt, the most significant abortion rights case in more than two decades. In a 5-3 vote, the highest court in the land struck down Texas House Bill 2 (HB2), which placed stipulations on abortion clinics, like meeting the same standards as ambulatory surgical centers and making sure doctors have admitting privileges at a hospital within 30 miles of the facility. 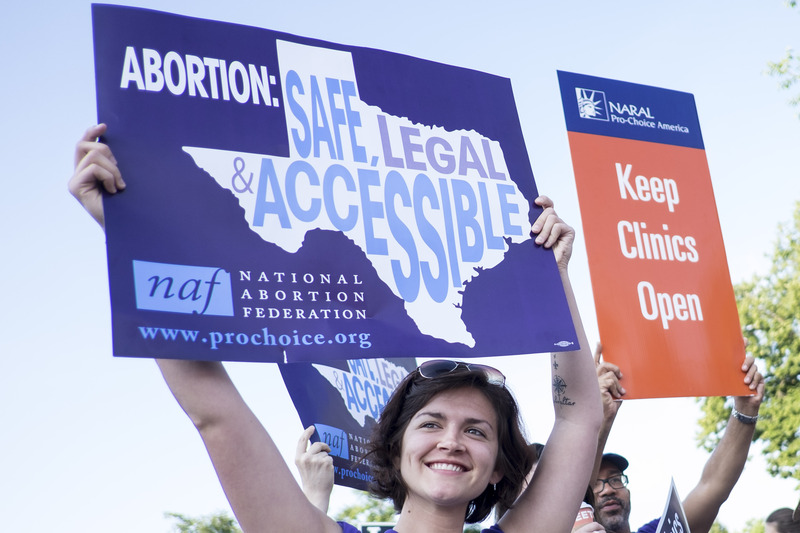 Pro-choice advocates have argued these regulations placed onerous and unnecessary restrictions on abortion clinics and pointed to the fact that more than half of the more than 40 clinics that once operated in Texas have closed since HB2 was passed in 2013. Every day Whole Woman's Health treats our patients with compassion, respect and dignity—and today the Supreme Court did the same. We're thrilled that today justice was served and our clinics stay open. Justice Stephen Breyer delivered the opinion in Whole Woman's Health, in which he stated that the Supreme Court found that neither of HB2's provisions "offers medical benefits sufficient to justify the burdens upon access that each imposes" and that each "places a substantial obstacle in the path of women seeking a previability abortion, each constitutes an undue burden on abortion access." Justices Clarence Thomas and Samuel Alito along with Chief Justice John Roberts dissented. In particular, Thomas's dissenting opinion claimed that the ruling "exemplifies the Court's troubling tendency 'to bend the rules when any effort to limit abortion, or even to speak in opposition to abortion, is at issue.'" Wendy Davis tried to block the stipulations in Texas HB2 from becoming law in 2013 when she famously filibustered for 11 hours before the Texas Senate. That quashed one form of the legislation, but Gov. Rick Perry then called a special session to pass a very similar version. Not since the Supreme Court heard Planned Parenthood v. Casey in 1992 and ruled that states could not chip away at abortion access by placing an "undue burden" whose "purpose or effect is to place substantial obstacles in the path of a woman seeking an abortion before the fetus attains viability."